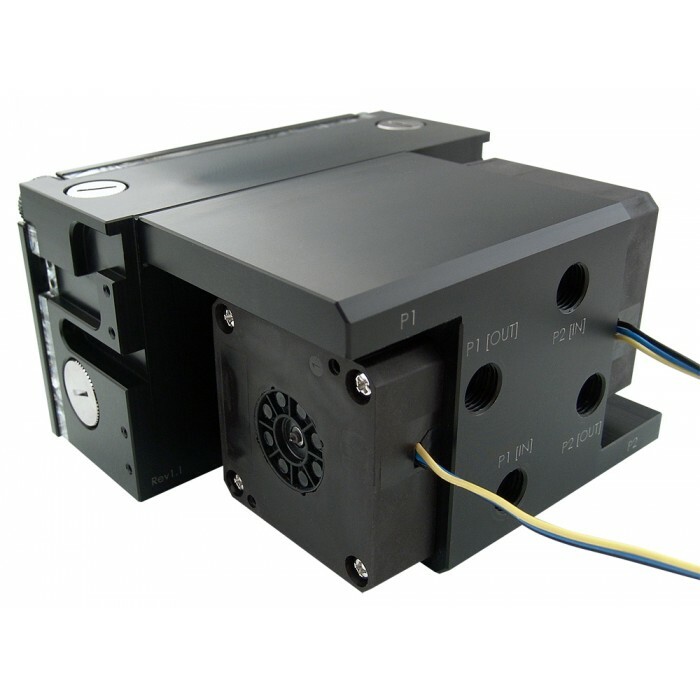 Easily combine Koolance's compact high pressure pumps into dual or serial/redundant loops! 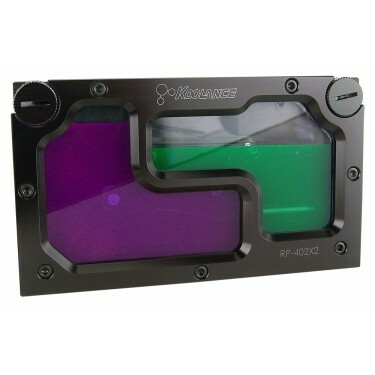 RP-402X2 is a dual 5.25" bay reservoir designed for one or two Koolance PMP-400 pumps (not included). 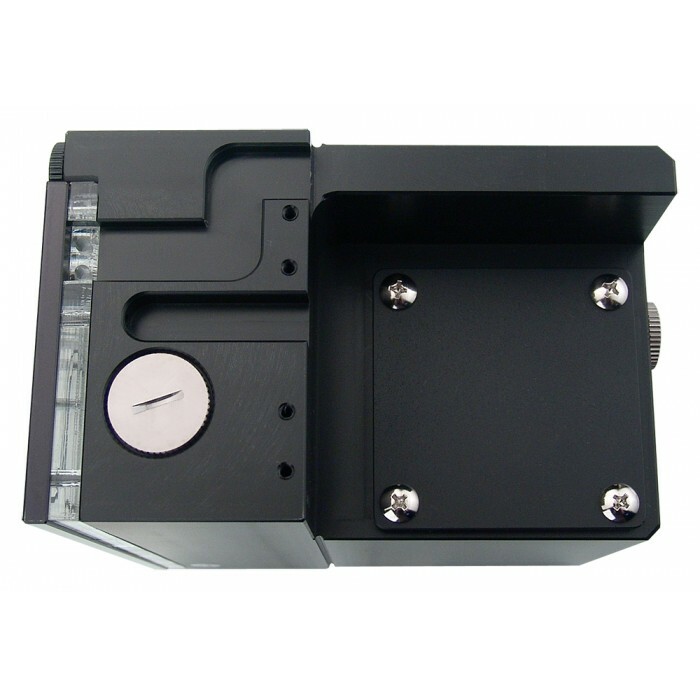 Using a convenient side plug, the front reservoirs can be separated or combined without disassembling the unit. Both front and top fill ports are available for each reservoir. 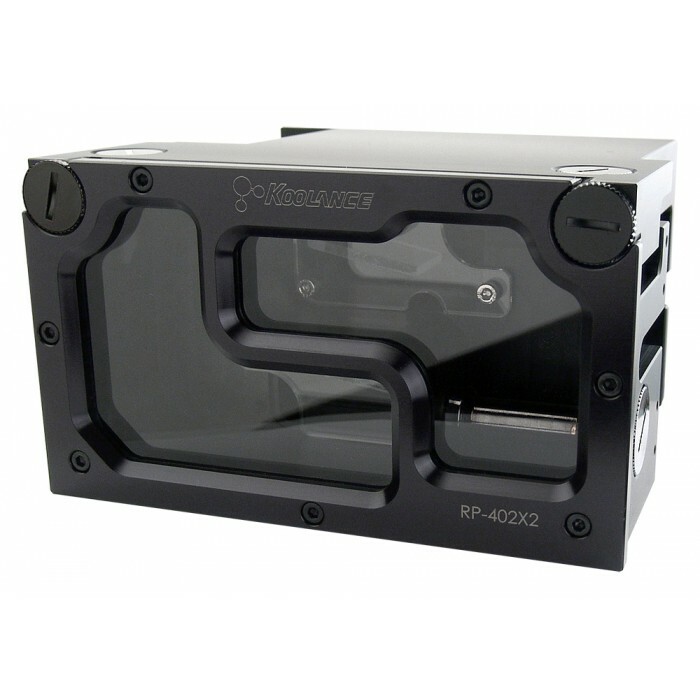 Machined from a solid piece of acetal for maximum reliability, the RP-402X2 has a thick acrylic window and front aluminum bezel. Two sets of G 1/4 BSPP (parallel) thread inlet and outlets appear on the back, designated "P1" and "P2" for each pump. 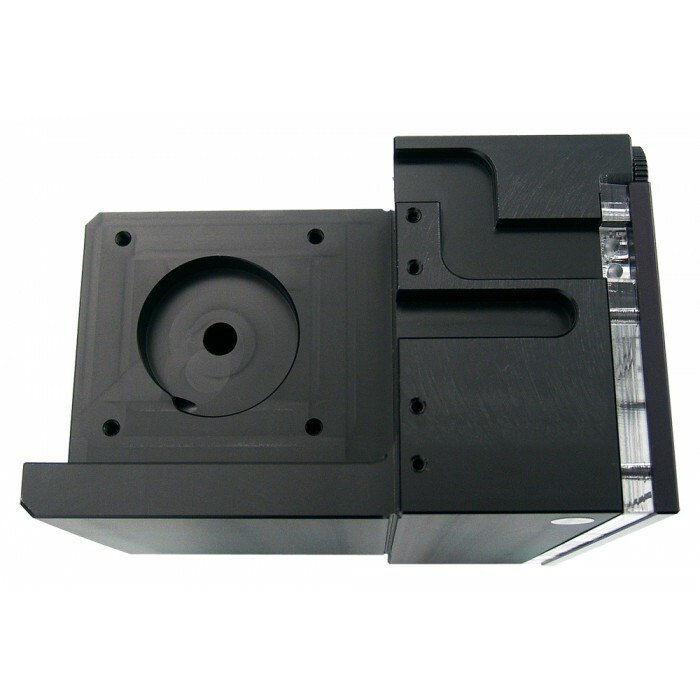 If one pump is used, an acetal blocker is included to occupy the second pump location. There are four pre-drilled holes for optional 3mm LEDs around the acrylic window. CD bay mounting screws and pump attachment hardware are included. Capacity per reservoir = approx. 5.3 fl oz (158ml). Weight without pumps = 2.9 lbs (1.3kg). Total dimensions = 5.8" (14.8cm) W x 5.0" (12.6cm) L x 3.3" (8.5cm) H.